A delicious cask strength whisky from Kilkerran – produced at the Glengyle distillery under the watchful eye of the same folk who make Springbank! 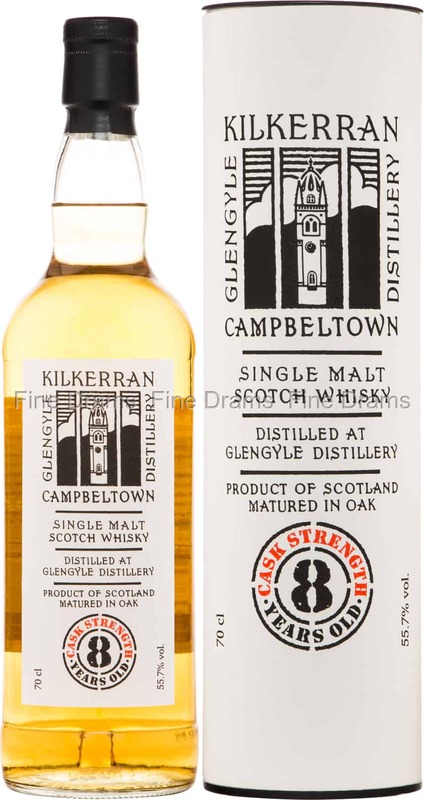 This Campbeltown whisky is named after Saint Kerran, who maintained a church on the peninsula. The distillery was reopened in 2004, having lain dormant for nearly 80 years. This 8 year old dram is a lightly peated offering, with notes of flinty Campbeltown funk, stewed fruits, apples and pears, sea spray, oily nuts, powdered sugar, white grapes and vanilla. Bottled at a toasty 55.7% ABV, and without chill filtration or colouration, this is a delicious, natural whisky.